​The Orr’s and Bailey Islands Fire Department (OBIFD) provides emergency services for Bailey Island, Orr’s Island, the Southern portion of Great Island, as well as the smaller offshore islands within our response district. 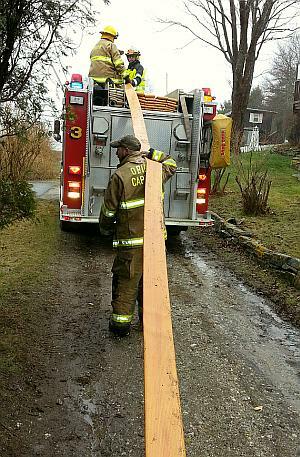 We also provide mutual-aid fire and EMS coverage for Cundy’s Harbor and Harpswell Neck. 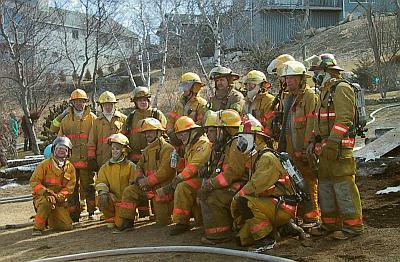 Responding to approximately 200 incidents annually, the members of our department come from all walks of life, and include retired professionals, working fishermen, stay at home moms, and high school students who participate in our “Junior Firefighter Program”. In addition to Emergency Responder positions, Volunteer opportunities exist for those interested in fulfilling support and administrative roles as well as board and committee assignments. Those interested in volunteer responder positions need not have any previous Fire or EMS experience. All necessary training will be paid for by OBIFD, as will required protective clothing and gear. We only ask in return for a voluntary time commitment commensurate with the training you have received and that your abilities and schedule will allow. If you're interested in volunteering as a firefighter or for fire support, or joining the rescue squad, please call us at 833-5405 , e-mail phil.taylor@obifd.org or submit the following form.